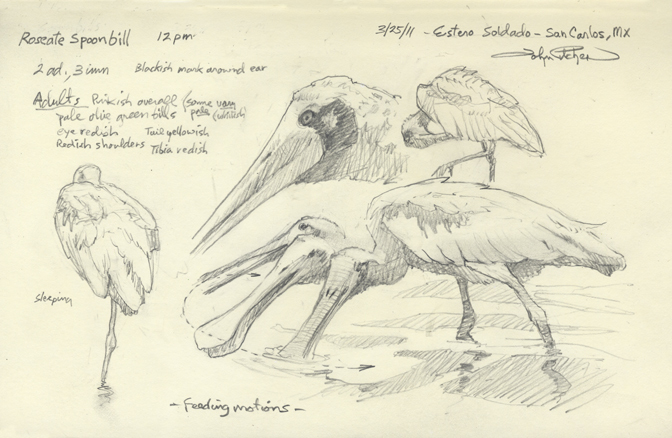 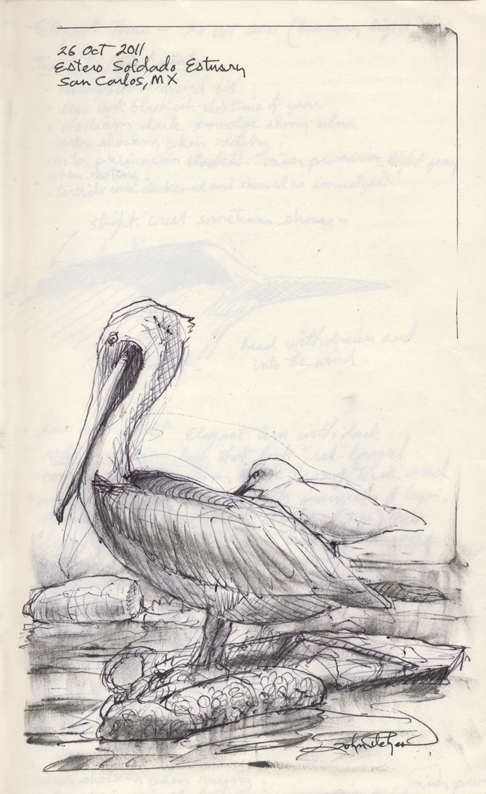 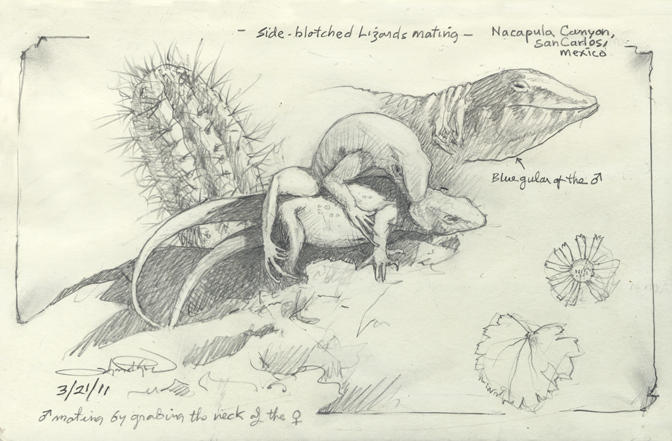 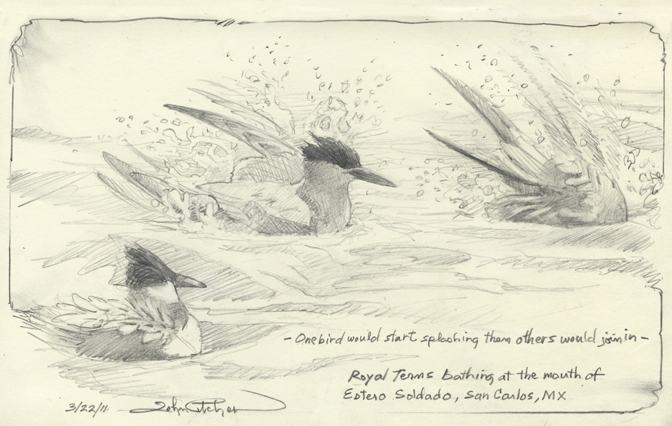 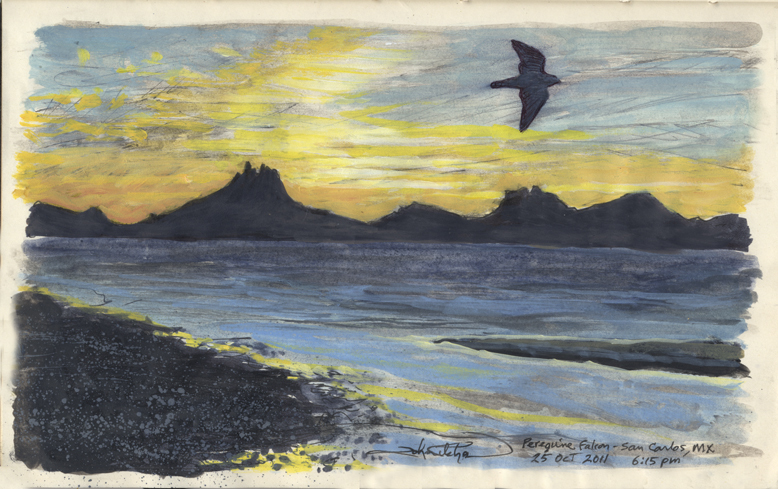 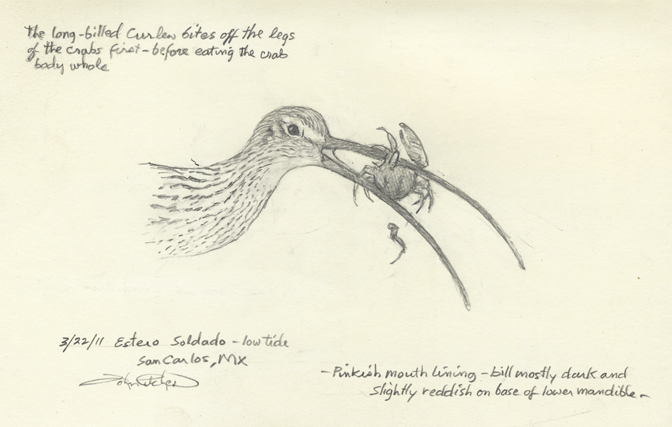 I created the following studies on location during an art research trip to the Sea of Cortez, specifically at and around the mouth of Estero El Soldado, a tidal mangrove estuary near San Carlos, Sonora, Mexico. 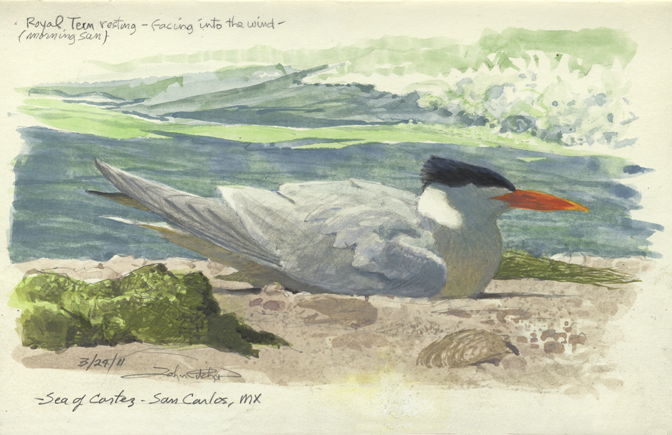 Sue Westin and I were invited in march of 2011, along with a score of other artist and sponsors, to artistically document this estuary and its surrounding area. 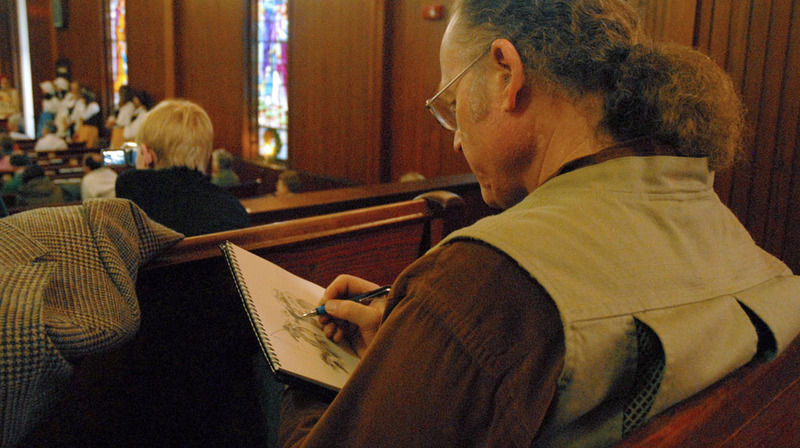 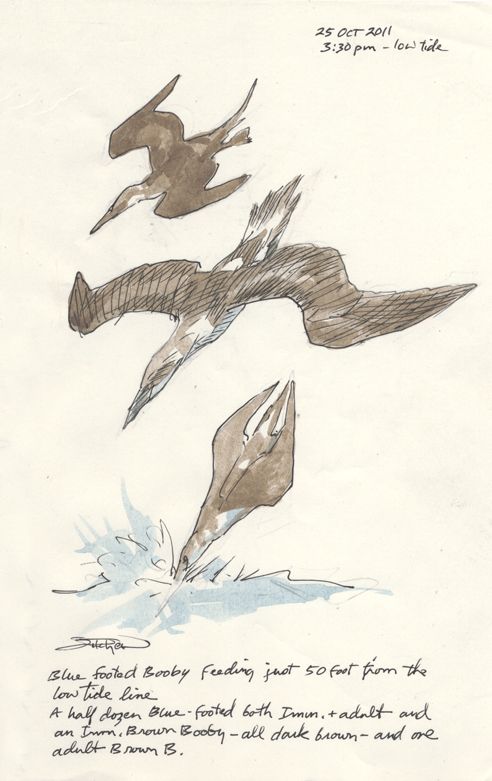 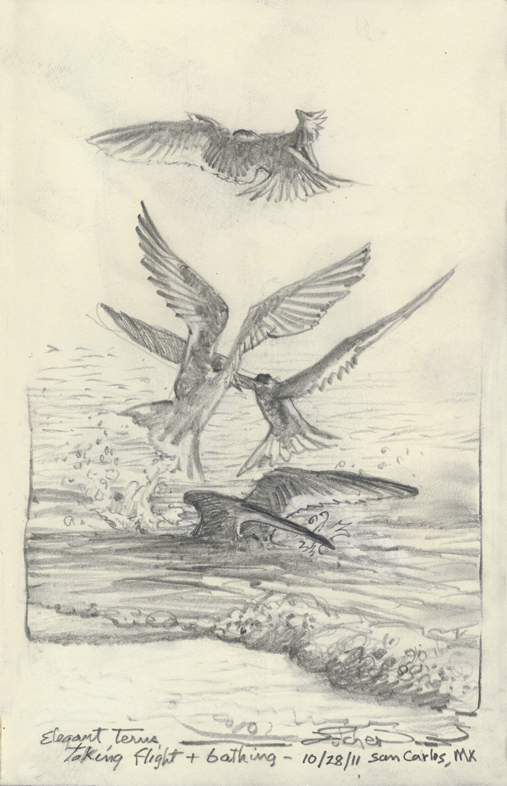 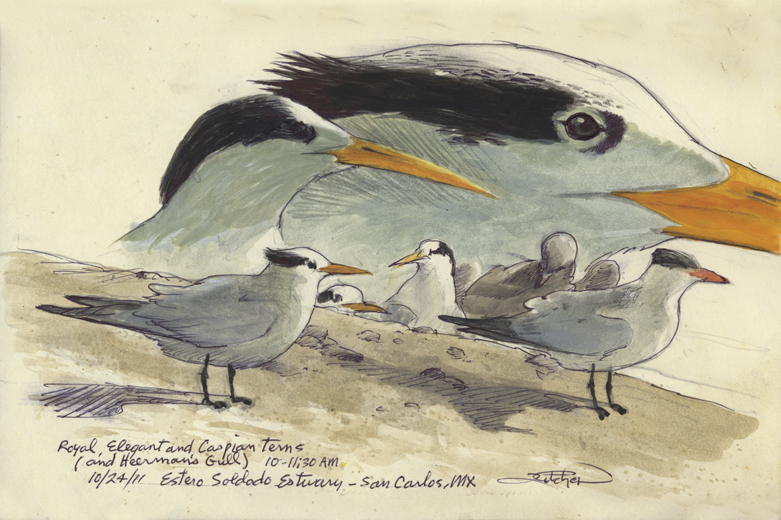 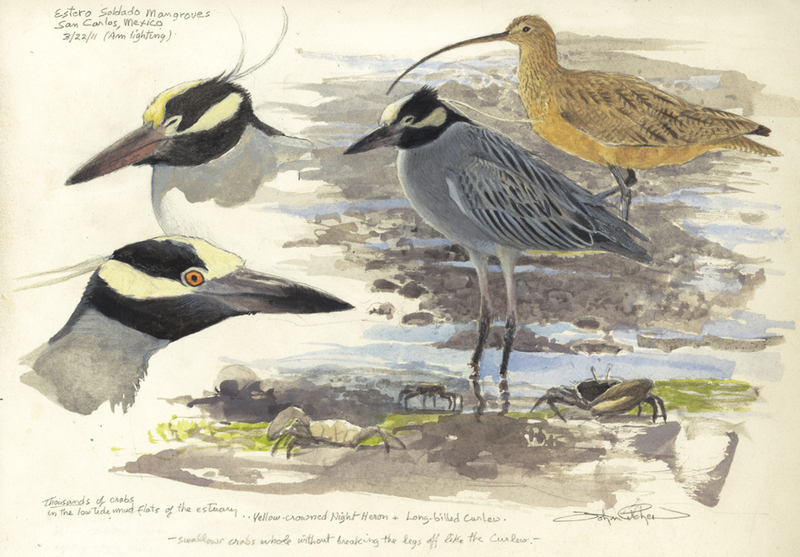 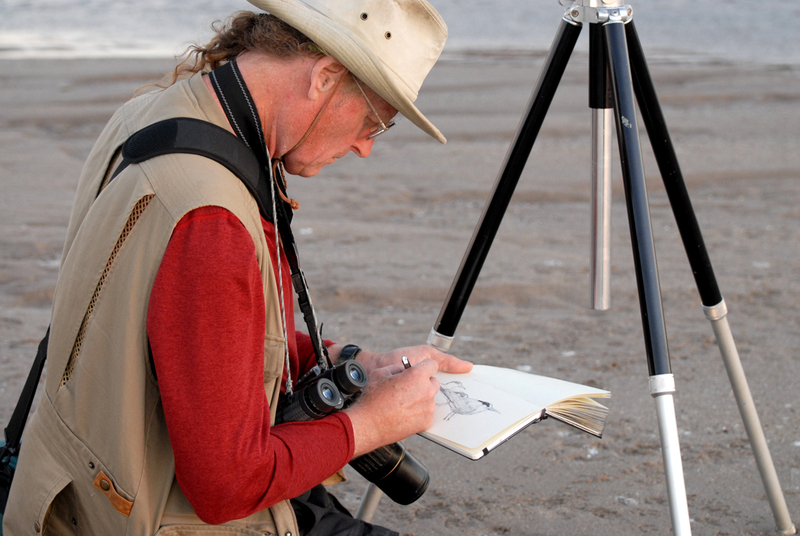 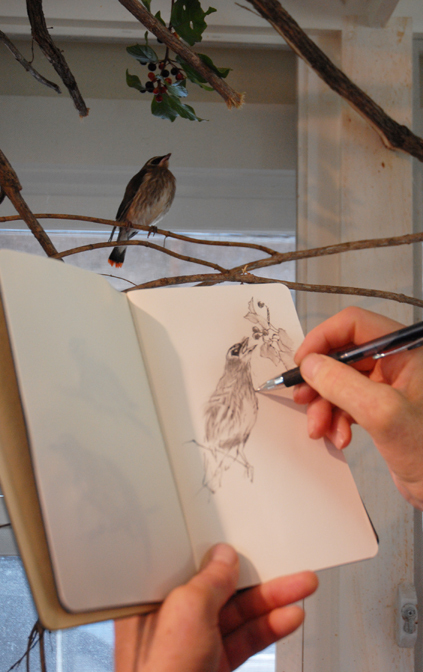 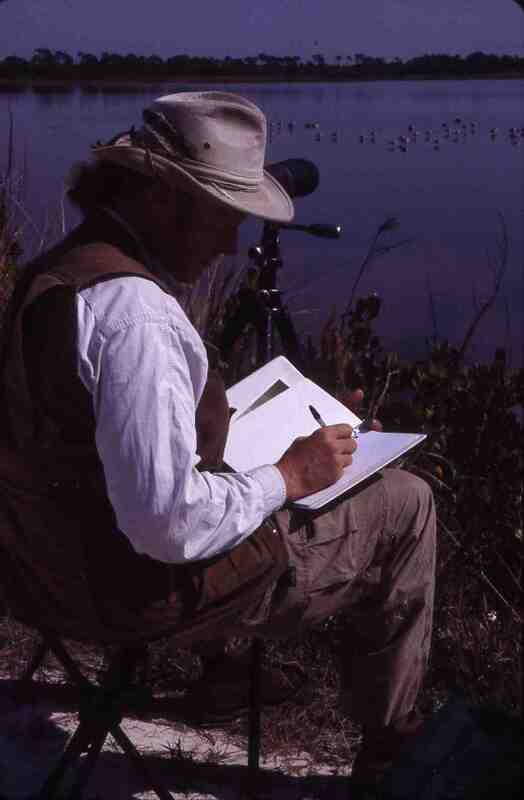 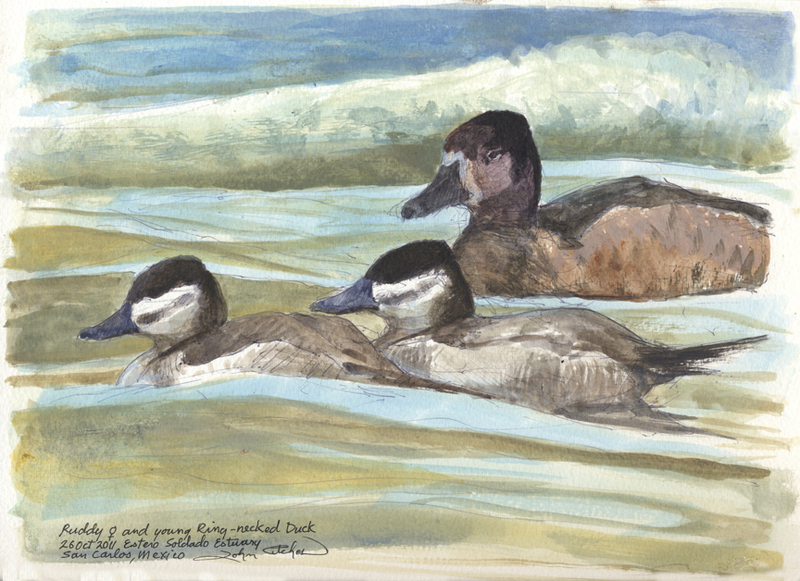 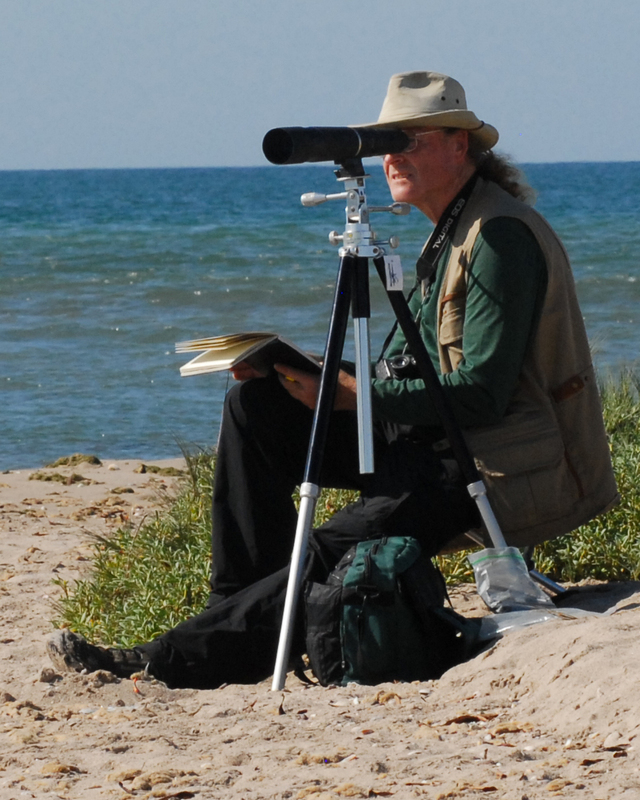 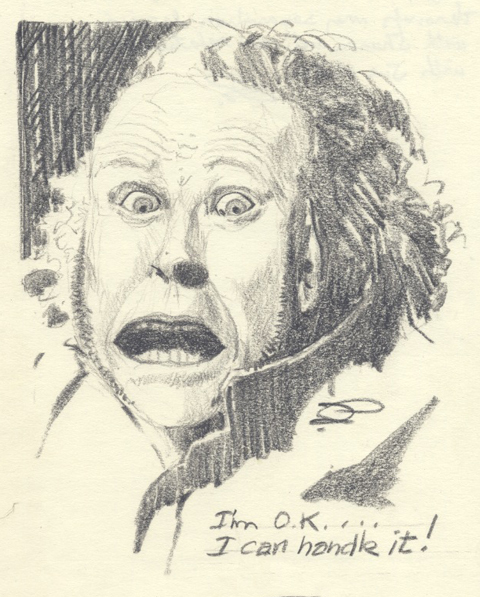 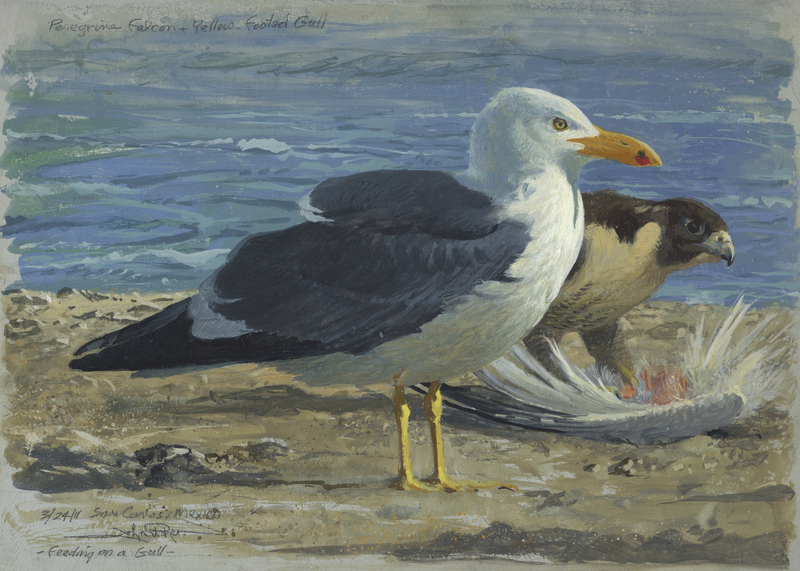 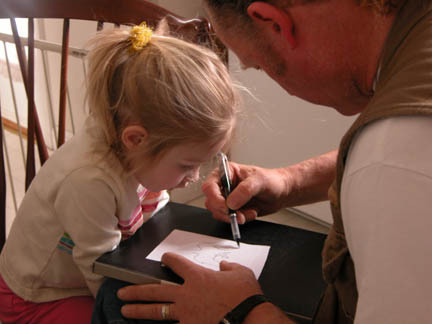 Author/wildlife art expert David J. Wagner L.L.C. 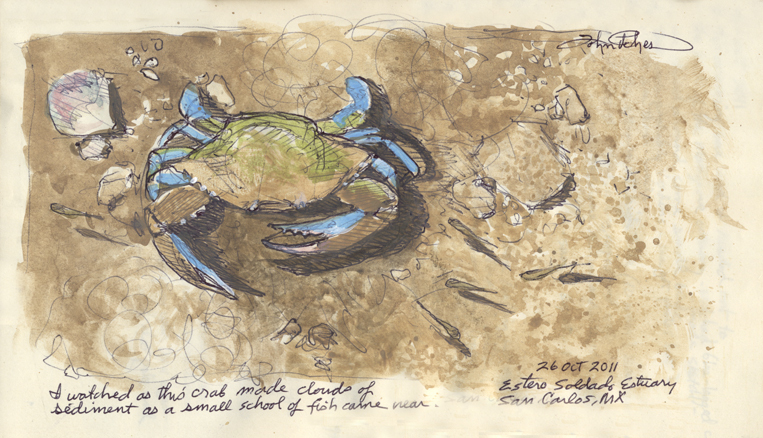 organized the trip to create the exhibition THE SEA OF CORTEZ, which successfully debuted at the Sonora-Arizona Desert Museum in march of 2013. 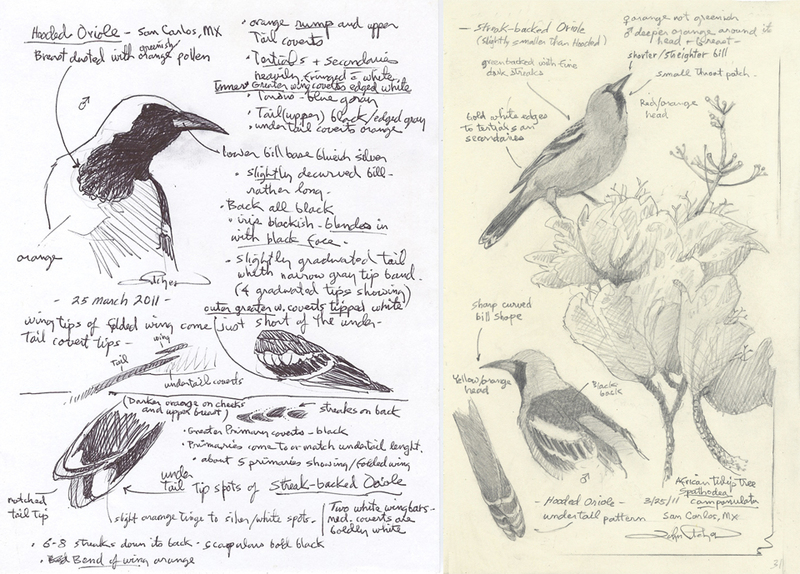 I removed these original studies from my field journals and sketchbooks and arranged them under one frame. 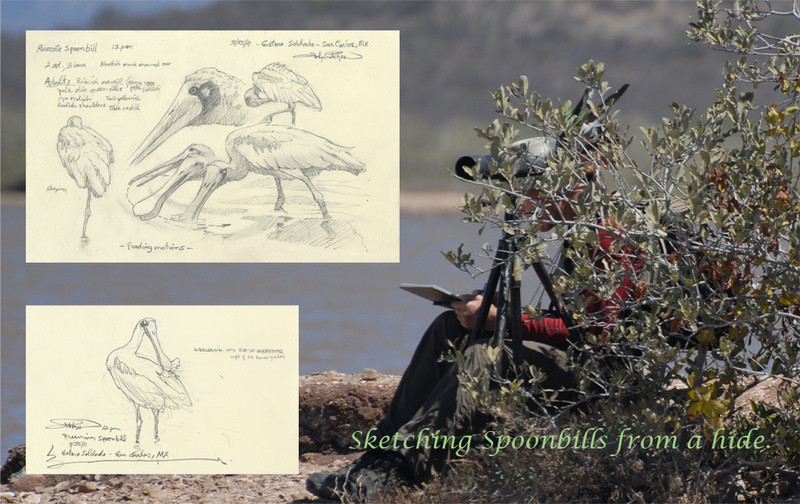 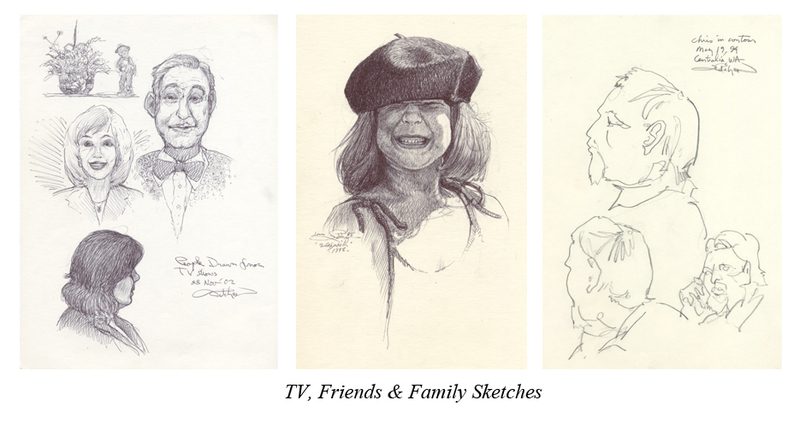 Over half of the drawings are from a March 2011 Sonora trip. 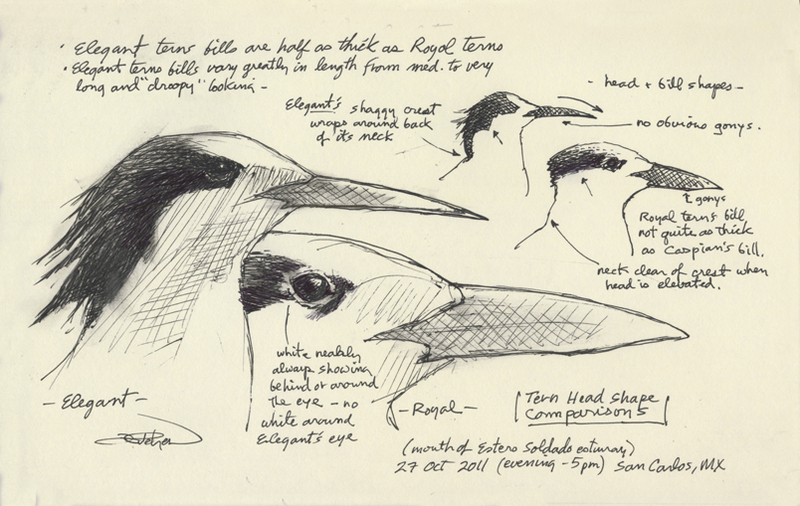 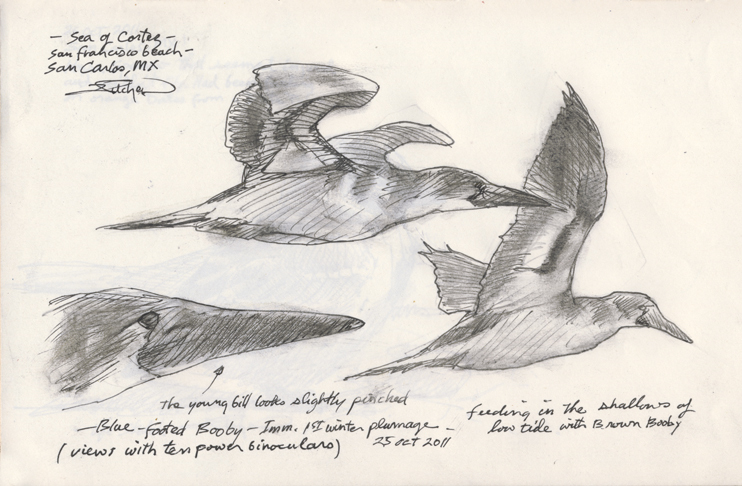 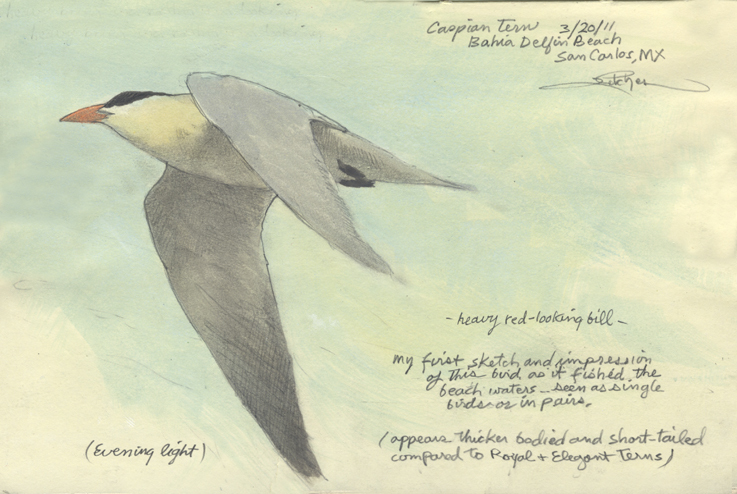 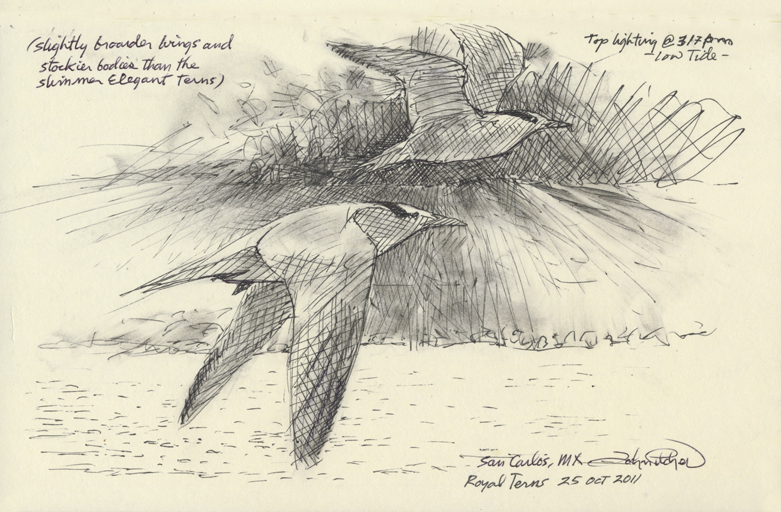 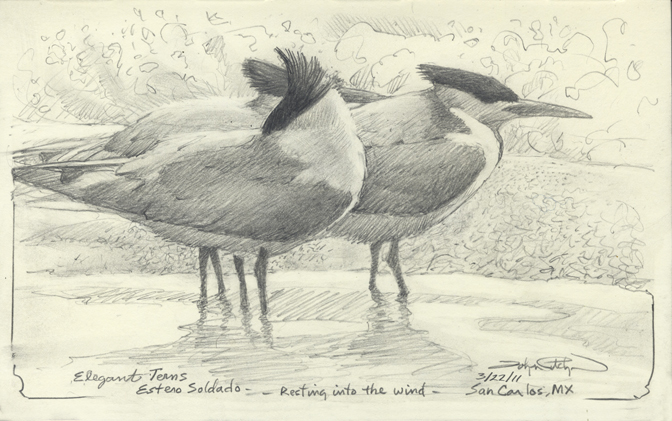 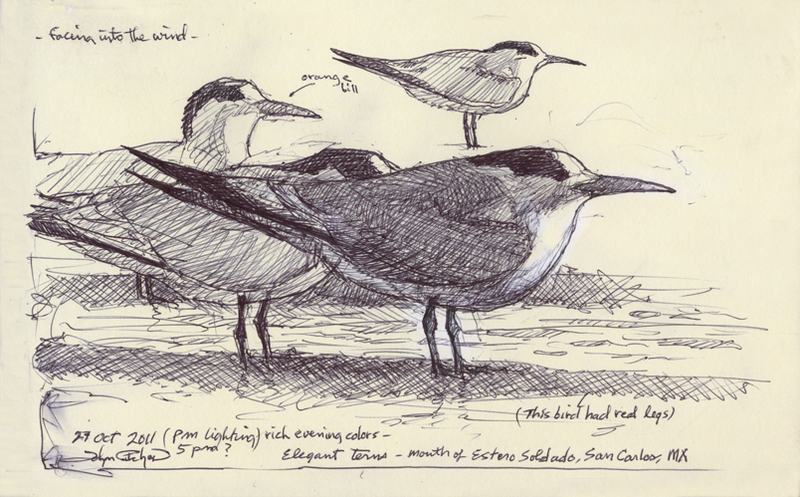 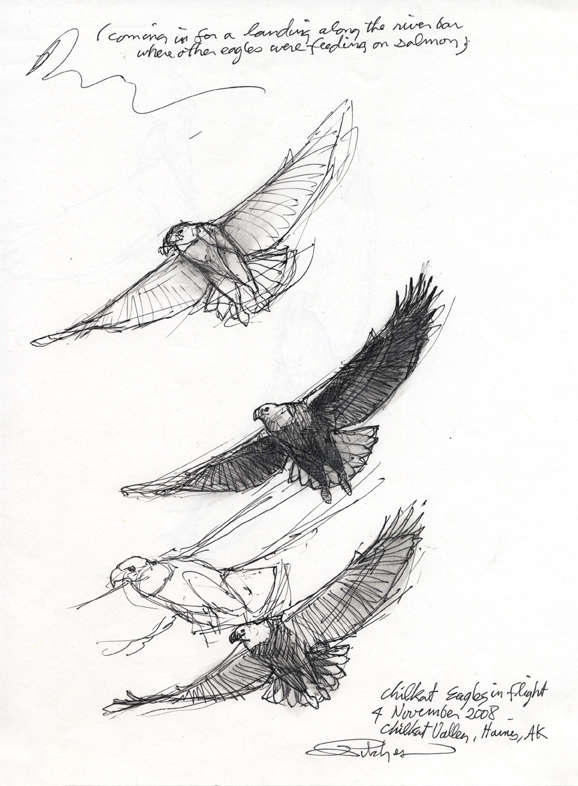 The other studies are from an October follow-up trip with Debbie and Nick Wilson which allowed me to see the birds in a different seasonal plumage.